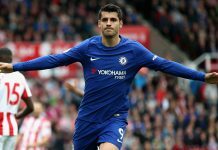 Champions Chelsea welcome Manchester United to Stamford Bridge on Sunday, and as painful as it is to say so, there’s not really a clear favourite as to who will win on current form – with both sides not particularly playing in fifth gears let’s say. This will mark the third time that Jose Mourinho has returned to Chelsea as Manchester United manager, with Blues fans maybe starting to feel when Jose is back in town they pick up victories at the expense of their former manger. Last season saw United lose 4-0 in the league and 1-0 in the FA Cup in west London and with an away defeat in Roma still fresh, the club will be desperate to get a result to lift the gloom and get their title charge back on track. 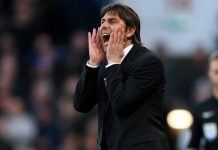 The last time that Manchester United came to town and did a number on Chelsea was way back in 2012, a time when the likes of Ashely Cole, Fernando Torres and Daniel Sturridge where rocking the Blue – so there’s every reason to be optimistic to the fact that United just don’t enjoy coming to Stamford Bridge. This Sunday there’s going to be no shortage of interest from the world’s media, with fans all around the globe tuning in to see one of the showpiece fixtures of the Premier League title race and if you’re feeling you want even more in on the action then you can get a fantastic 25/1 offer on either Chelsea or United to win a corner during the game. It would be safe to say with both sides looking to play safe there’s likely to be a corner or two in this one! 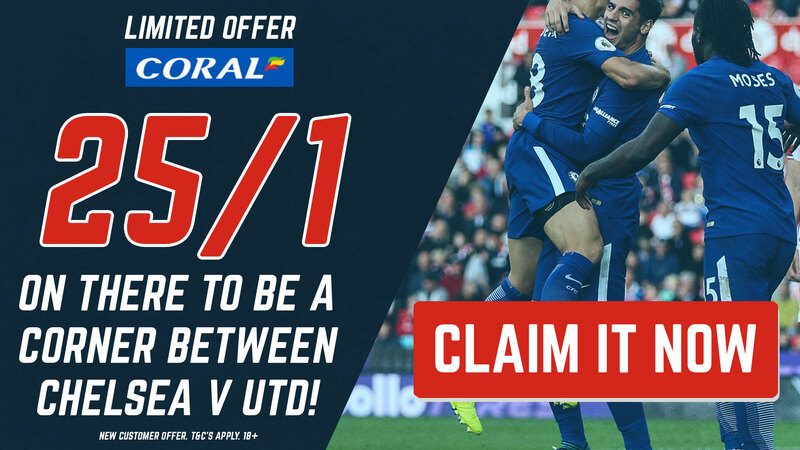 Claim that limited time offer from Coral here before it’s too late and hopefully make Sunday afternoon’s game all the better (with a victory too)! 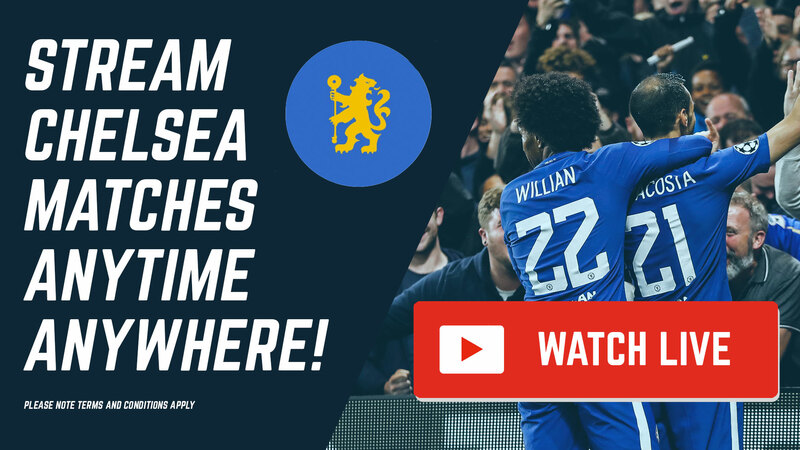 Don’t forget to check out our complete guide on how you can watch the Chelsea vs Manchester United live stream for absolutely free on Sunday – there’s a complete step-by-step and if you want you can keep following the Blues all season long too without ever missing any more of the action.